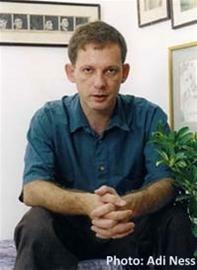 Ilan Sheinfeld was born in Israel in 1960. He has an MA in Hebrew and English literature from Tel Aviv University, where he taught Hebrew literature. 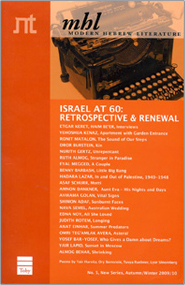 Sheinfeld has worked as a newspaper editor, literary critic and has written on cultural topics. He was the founding editor of an Israeli journal on literature and theory, was spokesman for the Cameri Theater and owned a public relations office. In 1998 Sheinfeld founded a publishing house specializing in gay literature, and he also teaches writing workshops. He was awarded the Liv-Goldenberg Foundation Award (2001), the Kugel Prize twice (1988; 2013) and the Prime Minister's Prize (2015).